As well as being a professional Sussex wedding photographer I'm also a proud father and husband and with three children and working as a wedding photographer around the country my free time is limited and precious, especially as two of my children are under 2! When I’m at home, I love spending time with my family and taking lots of pictures (although my wife regularly tells me to put the camera away - apparently its poor form to take photos of your wife without make up and no warning!. ​Having a world renowned, multi award winning photojournalist for a father ( www.davidashdownphotography.co.uk ), I grew up being inspired by his images ( no pressure ), throughout school I knew that I wanted to be a photographer and as soon as I left I was thrown into the deep end, working as a junior photographer for a world renowned photographic press agency. I learned the ropes from some of the most respected photographers in their fields. I went on to work as a photographer specialising in photojournalism for high profile national picture agencies and national newspapers. As a result of this I quickly become adept at documenting a story, which of course has become invaluable in my approach to photographing weddings. ​There is nothing better than be able to capture a fleeting moment and record it making it timeless. Have a look at my ‘Frequently Asked Questions’ page and you find the answer you are looking for or you can contact me directly. Documentary, Reportage, Photojournalism, they all really mean the same, capturing the day without too much intrusion and direction from the photographer. Some documentary wedding photographers will not shoot family group shots or intimate portraits of the happy couple, I am not one of those. The majority of the day is shot candidly using my eye and experience of being in the right place at the right time but I'm also happy to photograph the family groups , If required these are best kept to a minimum. No glossy wedding magazine set ups, no arranging the dress for 15 minutes, just capturing happy people with family and friends. If desired, I take the bride and groom off for just 10 - 15 minutes to capture a few 'posed' portraits but even these are not too contrived or cheesy. "No continuous look at me, look at me" Take a look at my portfolio for examples. Weddings that I have photographed have been featured on the front covers of magazines and featured in national and regional wedding magazines such as Your Sussex Wedding, Wedding Ideas Magazine, Ideal Bride Magazine as well as prestigious international and UK wedding blogs such as Whimsical Wonderful Weddings, English Wedding Blog, Your perfect wedding photographer and Love Sussex Weddings. 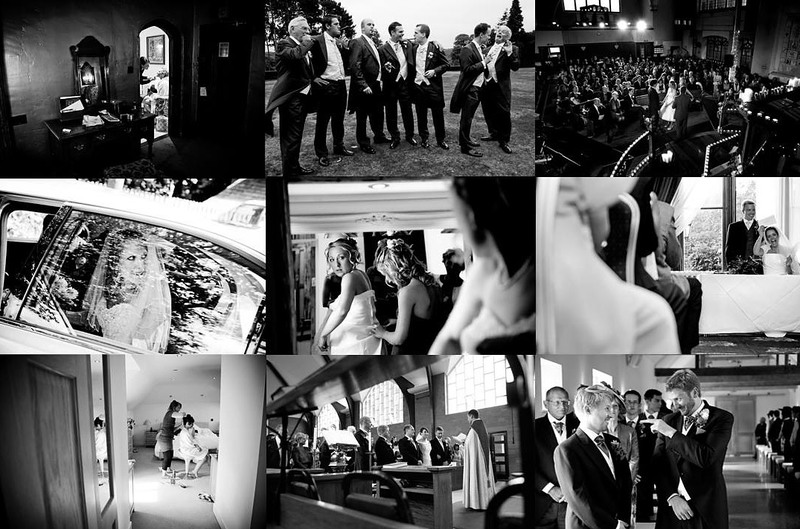 Wedding venues and suppliers also use my images to help publicise their business. I am a recommend photographer at many prestigious weddings venues among Pangdean Barn, Wadhurst Castle and Wiston House to name just a few. And the end product, your beautiful photos, all 750+ of them, are absolutely stunning. We can't stop showing them off ! When we look at your photos we're right back there in the moment and for that we thank you. We were always going to have amazing memories from our special day but now we also have the pictures to match. So please allow us to pass on our thanks once again, you were amazing Mike. We'll definitely be recommending you to friends and family"
P.S I CAN'T BELIEVE YOU GOT ME ON THE FRONT PAGE OF THE WEDDING MAGAZINE !!! Below is a section of a non wedding related images and information for those that would like to know a little more about me, for those that have seen enough already here are some quick links to other sections of my website. ​I've often been asked "whats the best thing you have ever photographed?" to be honest Ive been lucky enough to have quite a varied career but without a doubt the best thing that Ive ever photographed is the birth of my son last year. It was so emotional and very very stressful as he was born by emergency Caesarian. ​What ever I photograph I always approach it the same way. To show emotion, humour and capture that moment in time. The image below is of my son at 2 seconds old with the Umbilical cord still attached. A few images from my photographic past of photojournalistic, editorial and PR photographs for various clients including national newspapers, national agencies as well as PR companies. One of my favorite shots of my youngest daughter at the beach ! One of my favorite images of my oldest daughter at the beach !